A few weeks ago I saw an article online listing the top 10 chain burgers. 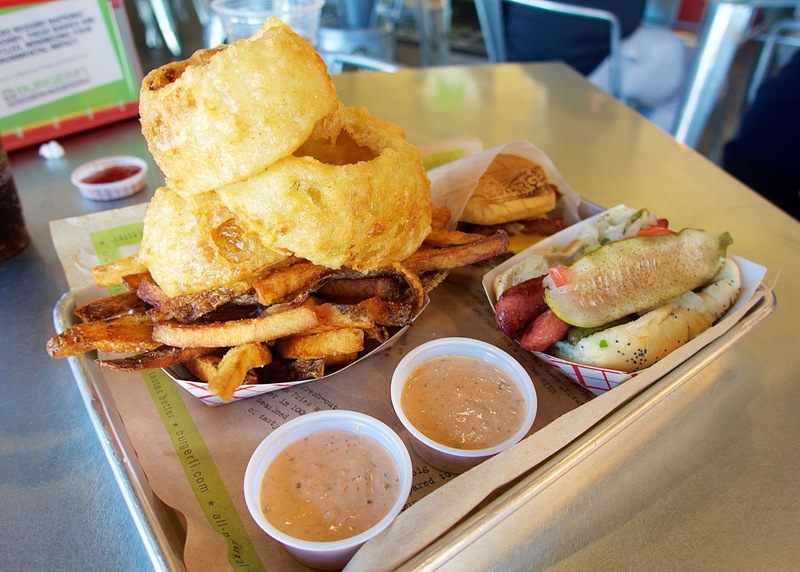 BurgerFi was on the list. I remembered my parents talking about BurgerFi opening in Auburn. Since we were going down for Christmas, I made a point to eat lunch there. Let me tell you. BurgerFi is now in my top 3 burgers. It was SO good. So good that we went back the day after Christmas to eat there again. The Manager (who was the nicest and most enthusiastic person ever) remembered us from Christmas Eve and was excited we were back again! The interior is really nice. Very clean. LOTS of TVs. It would be a great place to watch the game. 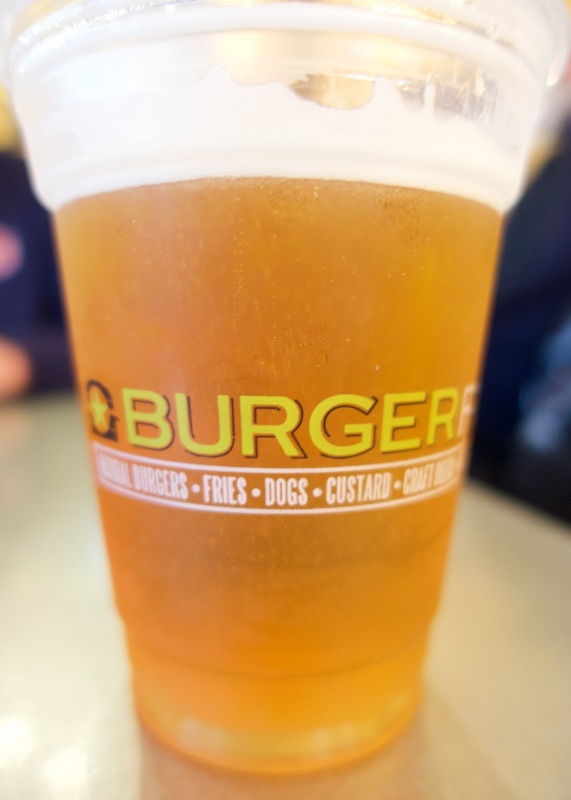 BurgerFi serves beer and wine. I saw a sign that said if you order two glasses of wine that you get the bottle. I love that they brand the buns! Chicken Legs got the Breakfast All Day Burger. Natural Angus burger, American cheese, hickory bacon drizzled with maple syrup, fried egg, hash browns, grilled diced onions, and ketchup. It was huge and he ate the whole thing! I got a single with cheese, bacon, ketchup and mustard. I loved every single bite. The bun was great. It was a potato roll. I love potato rolls. We split the "Cry and Fries"
3 onion rings and fresh cut fries. The fries were similar to Five Guys. I got a side of BurgerFi sauce. It is similar to comeback sauce. It was great for dipping the fries. The onion rings were AMAZING! I don't normally like thick onion rings, but these were the exception. The crust was the best! Our tray from our second trip. I got a single with cheese, bacon and BurgerFi sauce. 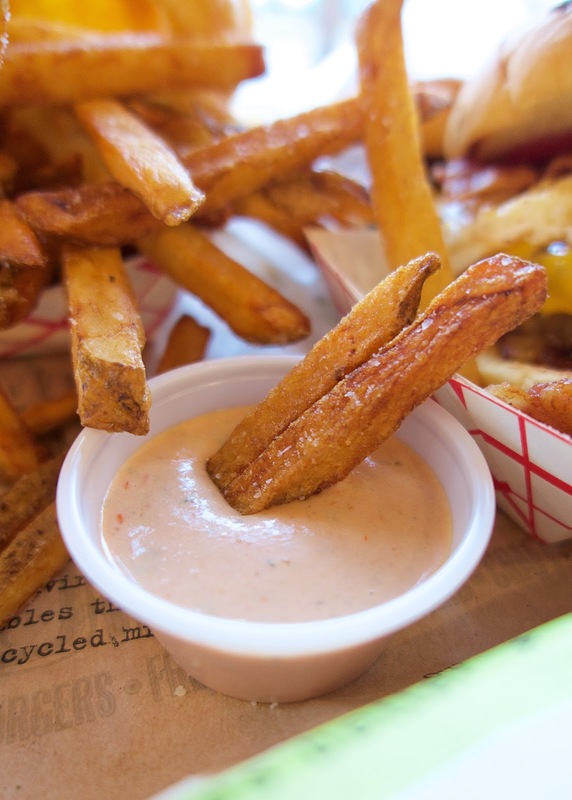 I could drink that BurgerFi sauce! Chicken Legs gave the Chicago Style Dog a try. 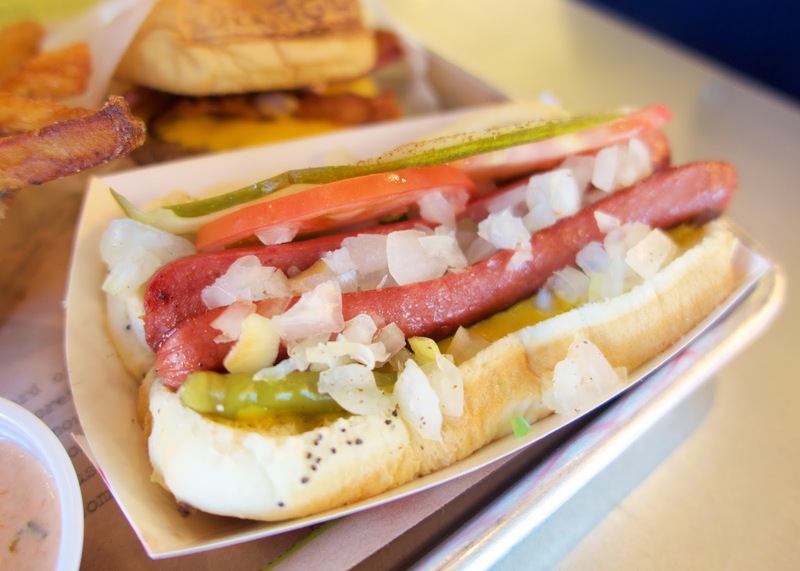 All-natural dog topped with mustard, neon relish, diced onion, tomato slices, sport peppers, celery salt, and a pickle spear served on a poppy seed bun. He said it was delicious! One of the best hot dogs he has eaten. BurgerFi also has frozen custard for dessert. We were way too full to eat dessert. I would love to try it next time. The Manager told us that they are looking at locations in Homewood and plan to open soon. Gosh, I hope they do. 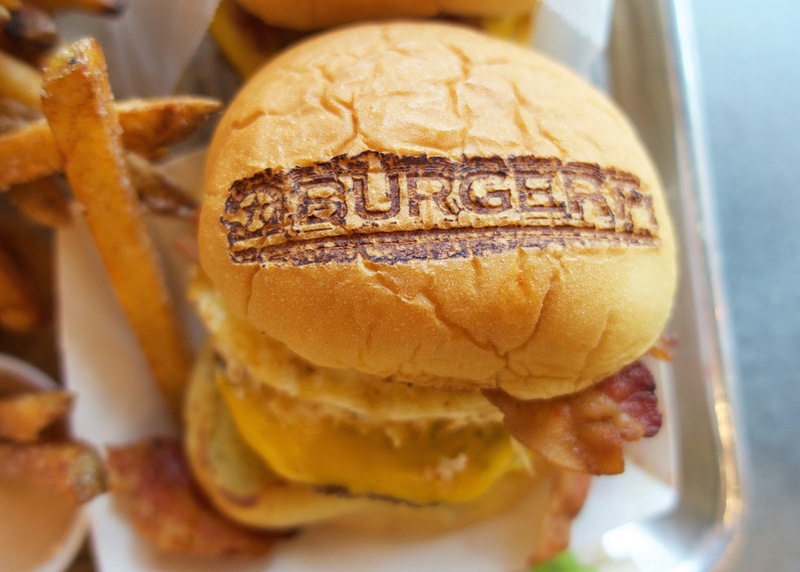 It is going to get expensive driving back and forth to Auburn to get my BurgerFi fix! 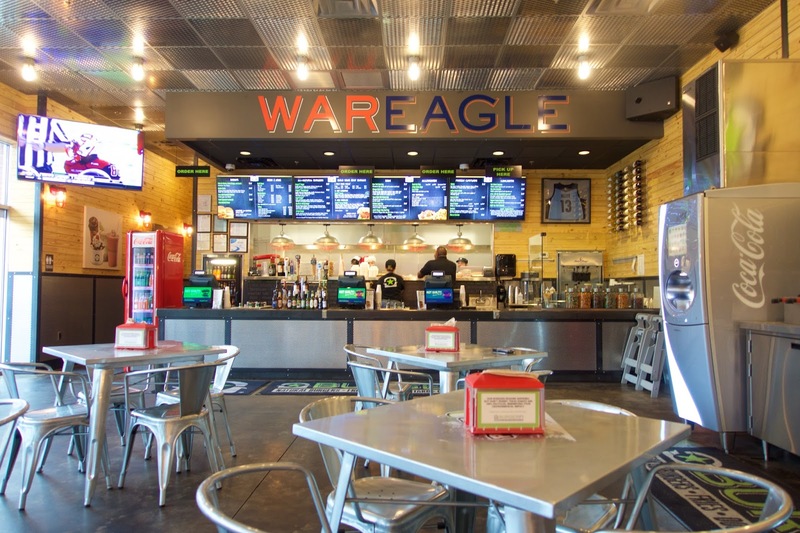 We have eaten at both locations in the Triangle and they are excellent! 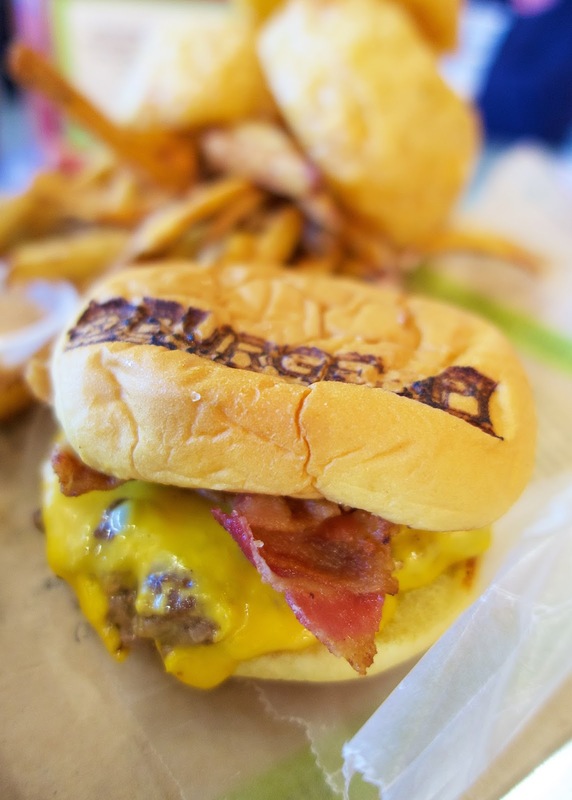 Trendy burger places are popping up everywhere in North Carolina but we haven't found one as good as BurgerFi....and yes, the custard ice cream is great! Save room next time for a cup! 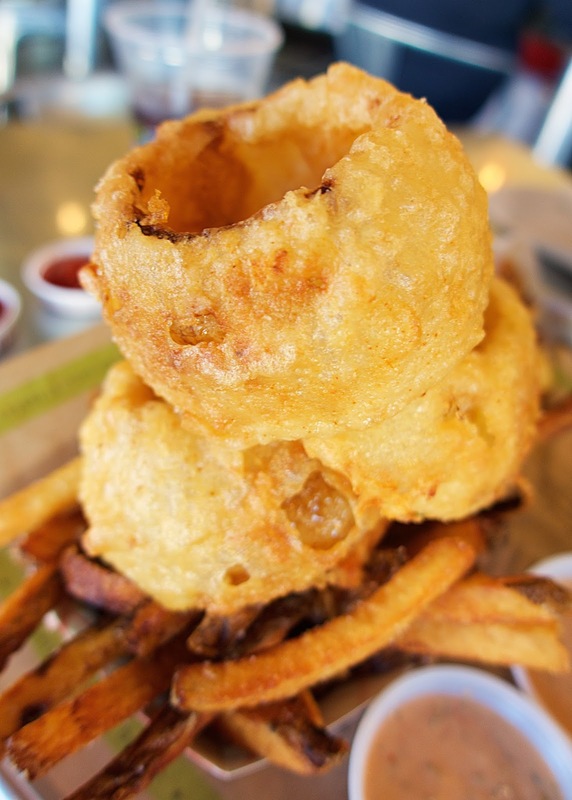 OMG the onion rings. I could live on those. 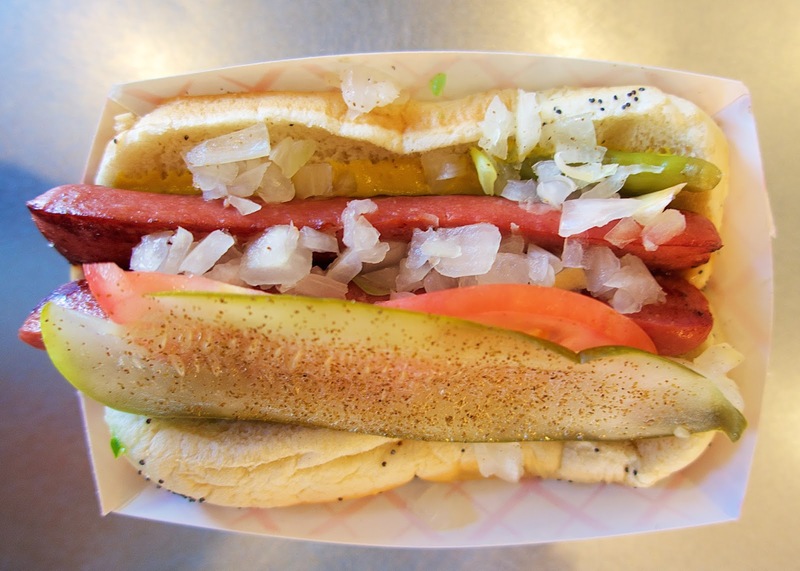 And the Chicago Dog. Makes me wish I could travel more to these fun places in the south - I WILL some day! It's right down the street from where I work and yes, everything she says is true!! We LOVE the onion rings and cheeseburgers and the atmosphere is great!! 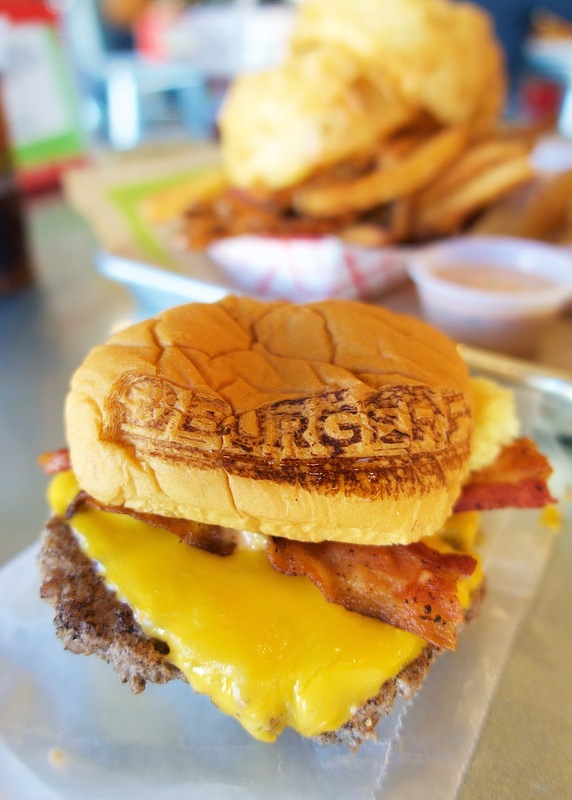 I live in Marietta, GA and we have BurgerFi around, but I haven't been to one yet - need to get on that! 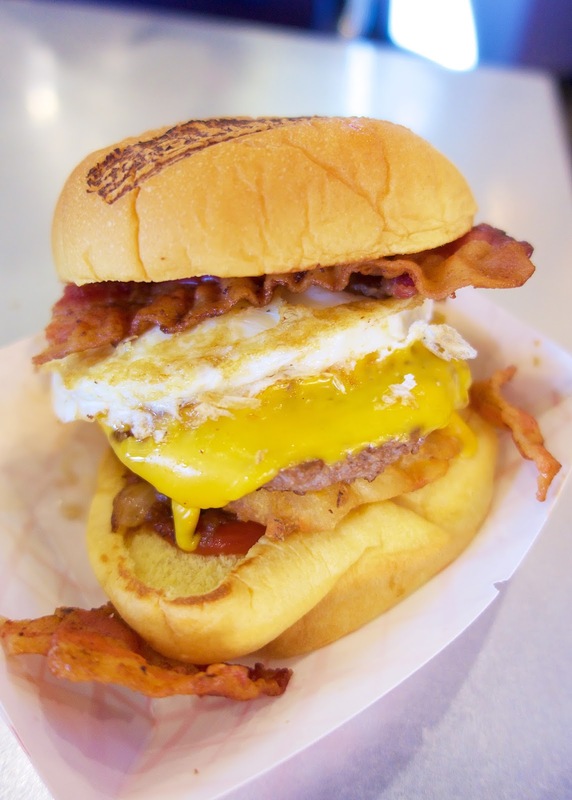 If you are ever in the East Cobb area, might I suggest a place called Moxie Burger (2 locations)? Better than Farm Burger, 5 Guys, Teds, Yeah! Burger, and Smash burger to name a few here in ATL area. I just saw that we have one in Tallahassee, just south of us. I will definitely be trying it the next time I'm down there, after your glowing recommendation! We tried this place yesterday and it was great. 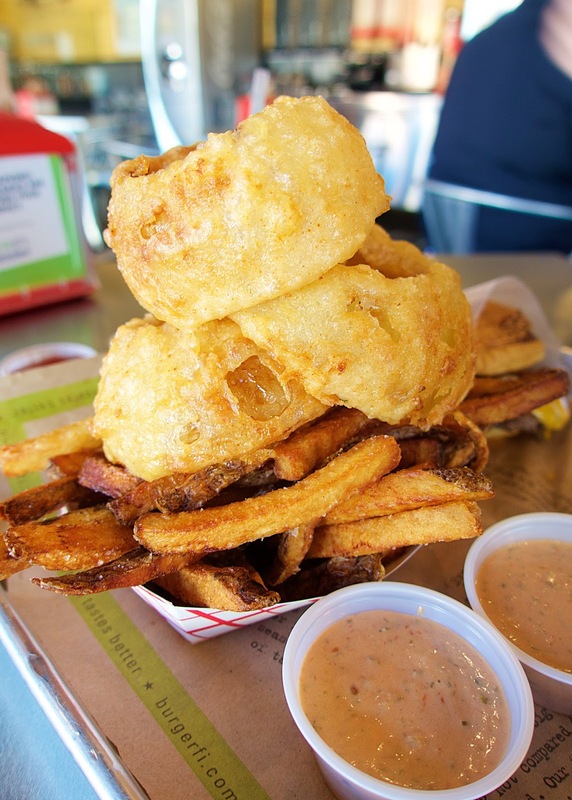 I loved the onion rings I just wished they has honey mustard sauce. Thanks for the recommendation.